John Gorka can't help but have fun onstage. He enjoys a good laugh, even at his own expense. "I wanted to do a song about aging gracefully," he'll tell his audience. "It's a nice idea, and I wanted it to be nonfiction and autobiographical. Didn't work out so well." 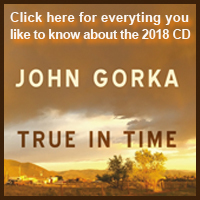 Gorka, who turns 60 in July, returns to The Eighth Step at Proctors on Sunday at 7 p.m. to help introduce his new CD release, "True in Time." A New Jersey native who went to college in Pennsylvania and now lives in Minnesota, Gorka has been a hardworking folk musician for nearly four decades, and sprinkled throughout his concerts is sound evidence of a wannabe stand-up comic. Well, maybe in another life," Gorka said on the phone earlier this week. "I think my attempts at humor come to help balance the seriousness and solemness of some of the songs I do. It's a really good setup for humor. I play a song and people expect to see this sad, really depressed guy, and then I turn the tables on them a little bit." 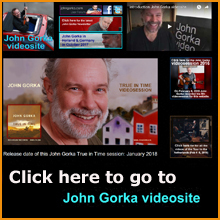 Gorka grew up in Colonia, New Jersey, then moved across the border to Bethlehem, Pennsylvania, where he attended Moravian College, majoring in history and philosophy. "After graduating, I started delivering flowers, and that career lasted for about three and a half years," said Gorka. "I was also playing at bars and restaurants and open mics all over the Lehigh Valley." 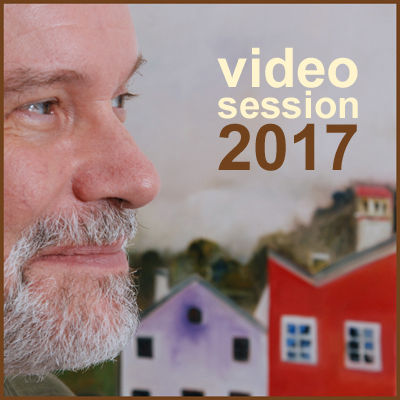 Gorka left the flower delivery career behind when he realized that many good folk musicians, people such as Stan Rogers and Claudia Schmidt, were making a living playing their music. 'I'd like to give it a try myself.'" 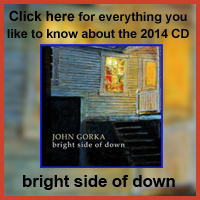 Gorka got into music as a young boy because he loved the banjo. "I just thought it was a really neat sound," he said. "Then my brother started turning me on to to singer-songwriters, and I started playing the guitar and the piano. I was never into rock 'n' roll that much. Once I left the banjo, which I still bring for some of my shows, I was all about acoustic bluegrass music." Gorka currently lives just outside St. Paul, Minnesota, with his wife and two children. "I moved up here because it's where my wife is from," he said. "By the end of the year both of my kids will be in college, and they both took piano lessons up until they were 15 or 16. My son has sort of stayed with it longer, and now he's picking up his guitar more often." While his son may follow in his footsteps, Gorka's not sure where he got his musical talent from. "I think my dad played the drums when he was a kid, but my mom always said she could never even whistle," said Gorka. "But I think it may have been my grandfather, my mom's dad, who I never even knew. He played the violin." In 1991, "Rolling Stone" called Gorka "the preeminent male singer-songwriter of what has been dubbed the New Folk Movement. ".